This blog examines developments in the law of evidence and forensic genetics. 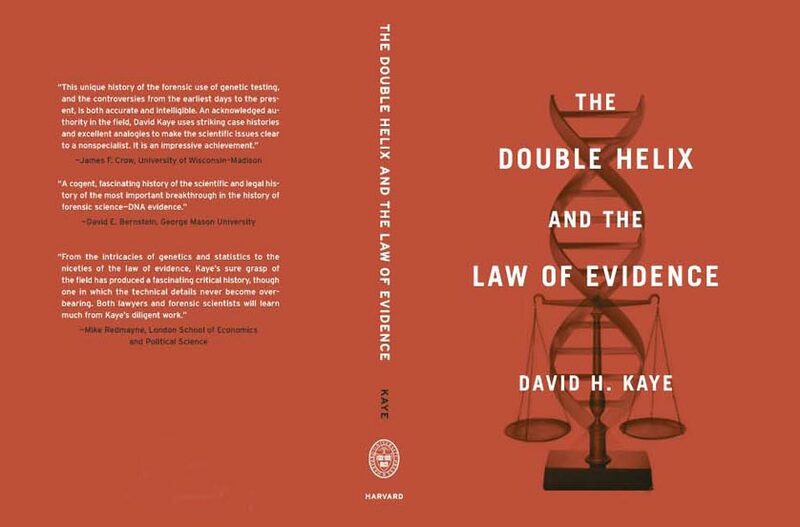 In addition to pursuing the evidentiary issues addressed in the book, The Double Helix and the Law of Evidence, it comments on threats — perceived and real — to privacy and civil liberties posed by developments such as law-enforcement DNA databases. The latter set of issues are the subject of a forthcoming book, DNA Identification and the Threat to Civil Liberties. Recent postings are shown on the right. To see all postings, click on the Blog tab above. Independent reviews of the book are in the Reviews tab. Interviews are on YouTube and in Research Penn State magazine.